(23) But as they sailed he fell asleep: and there came down a storm of the wind on the lake, and they were filled with water, and were in jeopardy. (24) And they came to him, and awoke him, saying, Master, master, we perish. Then he arose, and rebuked the wind and the raging of the water: and they ceased, and there was a calm. (25) And he said unto them, Where is your faith? And they being afraid wondered, saying one to another, What manner of man is this! for he commandeth even the winds and water, and they obey him. 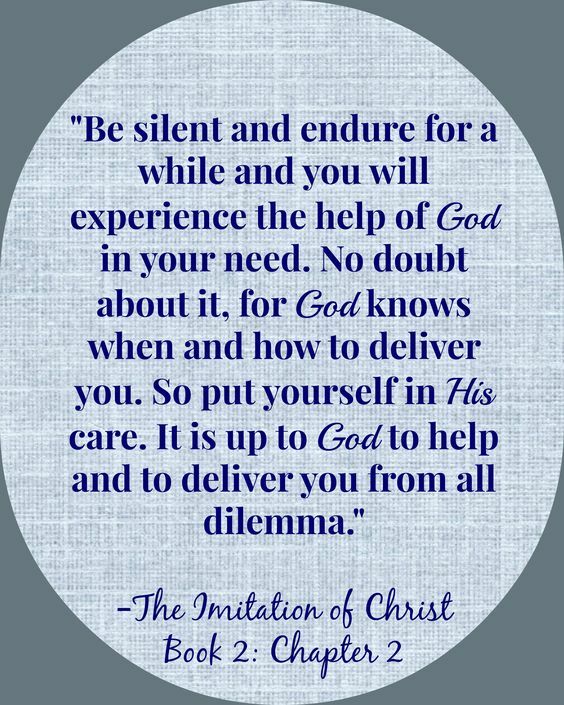 Brethren, oftentimes, unexpectedly, we find ourselves in storms of life, overburden with sufferings; when that happens, who do we call for help? Good question, we may turn to associates, friends and family members, lean on them for emotional, psychological or physiological supports; and whether we find the comfort and peace needed to overcome our troubles, it is our own perception; at times, one must continue to press against these sources for longer time periods, until they experience the breakthrough; however, in believers lives, there is only one remedy, solution to storms of life; and that Jesus Christ our Lord and Savior, who eradicated sufferings, grant victories by his crucifixion, death and resurrection; not only that, but can also uplift souls from setbacks, move them forward with grace, peace, joy and eternal blessings; therefore, if we find ourselves in any type of storm, let us call upon the Mighty Name of Jesus! He is the answer to all problems. In the above text, Jesus went into a ship with his disciples: said unto them, "Let us go over unto the other side of the lake. ", as they took off, he fell asleep, and there came down a storm of the wind on the lake; and they were filled with water, and were in danger of losing the boat, harming themselves, failing to make it to the other side; the disciples came to Jesus, woke him up, saying Master, master, we perish. Jesus woke up, rebuked the wind, the forceful water, and they stopped raging, and there was peace; at times, when storms of life, pressed against our souls, emotionally, we fell disrupted, devastated and downcasted, this is abnormal, it happened to the disciples in this text; though they knew who Jesus was, his capabilities to solve problems, saw his miracles, yet when they were in the windy storm, their faith in him was shaken, feared for their lives, cried out to him for help, to save their souls; therefore, let us be encouraged to have faith in Jesus, no matter what type of storm we find ourselves, whether in the windy storms, devasting waves of the sea, rains, and flood waters or fires; all is not lost, we still have our lives to live, and there is no type of storm that is too mighty for Jesus Christ to conquer, rebuke, calm down, dry out, and replenish with blessings; therefore, if we find ourselves in storms of life; let us be still, and know that this too shall pass, and we belong to a mighty warrior, Jesus Christ, pray fervently, praise, give thanks to him, be peaceful, and trust him to calm storms, restore lost blessings, and may the peace of our Father, keep our hearts and minds to have unwavering faith in Jesus Christ forever. Dearly beloved, after Jesus rebuked the wind, calmed the raging water; he said unto his disciples, Where is your faith? Believers, without faith it is impossible to overcome storms of life; when in a storm, believe that we are not alone, but with Jesus, call upon his holy name, pray for deliverance, and strength to overcome; as storms presses against our souls, never feel downcasted with sadness, have anxieties, but press on with faith, read the scriptures, and sing songs of praises to our Father; regardless of how we feel, have faith, that all things are possible through the strength of Jesus Christ our Lord and Savior. Trust in him! Amen and Amen! (KJV.) St. Luke 4:35 And Jesus rebuked him, saying, Hold thy peace, and come out of him. And when the devil had thrown him in the midst, he came out of him and hurt him not. (26) The woman was a Greek, a Syrophenician by nation; and she besought him that he world cast forth the devil out of her daughter. (27) But Jesus said unto her, Let the children first be filled: for it is not meet to take the children's bread, and to cast it unto the dogs. (28) And she answered and said unto him, Yes, Lord: yet the dogs under the table eat of the children's crumbs. Brethren, referencing the above text, Jesus went to borders of Tyre and Sidon, and entered into a house, that no one should notice his presence; guess what? his glory cannot be hidden, cf. Matthew 5:15; therefore, a certain woman, whose young daughter had an unclean spirit, heard of him, came and fell at his feet: believers, as lights of this world; let us mind our works, be careful of what we do, our actions and behaviors should always reflect as believers in the righteousness of Jesus Christ our Lord and Savior: For no matter where we are, day or night times; believe it or not, our works, shall be revealed, and known abroad: for nothing is secret, that shall not be made manifest; neither any thing hid, that shall not be known and come abroad. cf. 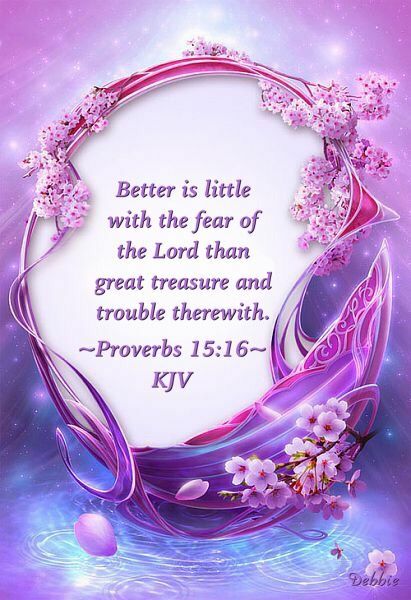 Luke 8:17; therefore, let us do good works, behave appropriately regardless of where we are, that others may perceive, and give glory to Jesus Christ for his mighty works in our lives. The woman who came to Jesus for help, was a Greek, a gentile from a Syrophenician nation; Syrian by dialect, but Phoenician by race and Phoenicians were descendants of the Canaanites, that made her a Canaanite; and it is an abomination for Jews to co-mingle with the Canaanites, (Genesis 24:3); therefore, that might be the reason why Jesus said; Let the children first be filled: but who are these children Jesus was talking about? of course, they are his followers, those who were listening to his teachings: Jesus went on to say, it is not meet to take the children's bread, and cast it unto the dogs: he spoke in an analogy, in other words, for the woman to know that it was inappropriate for him to stop feeding the children with his bread of life, use their sustenance to do otherwise; however, the woman had faith in Jesus, that he can heal her lunatic daughter, therefore, she answered, Yes, Lord: yet the dogs under the table eat of the children's crumbs: this is faith without wavering, Jesus, said to her, For this saying, go thy way; the devil is gone out of thy daughter. (29) hear what happened, when she went back to her house, she found out that the devil was gone out of her daughter and laid upon the bed: (30); therefore, regardless of what may be going on negatively in our lives today, let us have faith without waverings, the Greek woman was not a follower of Jesus, and could have given up her request for Jesus to heal her daughter, walked away from the scene; however, she did not do so, rather was persistent, and her faith in Jesus, healed her daughter from an unclean spirit, more or less a Christian believers, words of miracles, signs and wonders are within our innermost spirits, we can declare and decree things into existence, and they shall be done in the name of Jesus Christ our Lord and Savior. Dearly beloved, when we pray, submit our petitions before the throne of grace; oftentimes, prayers are answered momentarily; however, at times, there may be unforeseen obstacles and hindrances from the world of darkness to delay, counteract manifestations of prayers: cf. Daniel 10:12-13; in a subjective way, whether our prayers are answered right away or put on prayer shelves, waiting for answers, no one really knows for sure, it is in our Father's own perspectives; therefore, if answers to prayers tarry, let us not worry, have anxieties, but trust in Jesus Christ, wait for manifestations; have faith without wavering! Amen and Amen! (KJV.) Matthew 7:6 Give not that which is holy unto the dogs, neither cast ye your pearls before swine, lest they trample them under their feet, and turn again and rend you. 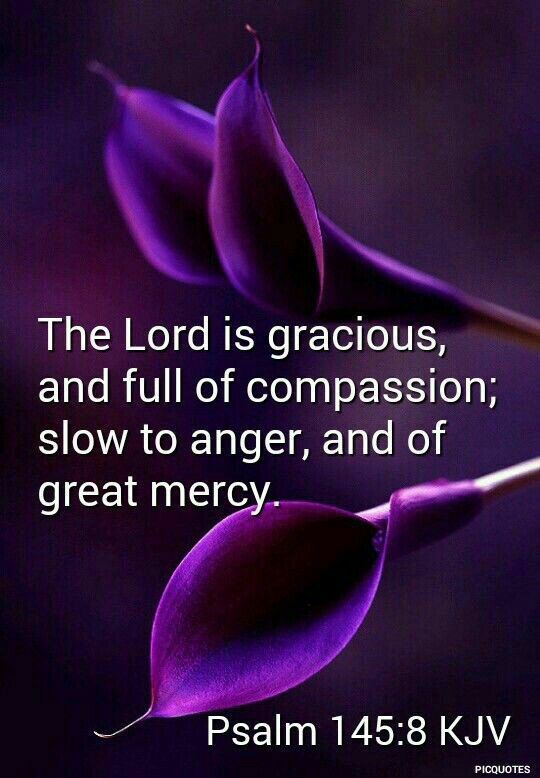 (13) And when the Lord saw her, he had compassion on her, and said unto her, Weep not. (14) And he came and touched the bier: and they that bare him stood still. And he said, Young man, I say unto thee, Arise. (15) And he that was dead sat up and began to speak. And he delivered him to his mother. 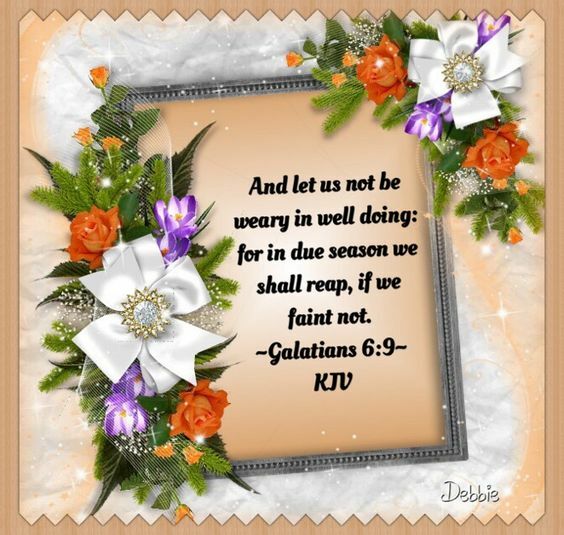 WEEP NOT, ARISE AND SHINE! Brethren, each and every soul has an attribute of compassion within their spirits: case in point, our Father is a father of love, merciful, and compassionate; therefore, when iniquities overwhelmed the world, he gave his only begotten Son, Jesus Christ, crucified, died, and rose again from the dead, to pay for our past, present, and future iniquities, that whosoever believes in him, should not perish in damnation, but have everlasting life. (John 3:16); inferentially, Jesus and our Father are one. (John 10:30); therefore, Jesus possess the same attributes as our Father; subsequently, the breath of our Father engineers our mortal bodies, also, the resurrection power of the Holy Spirit, lives within the hearts of believers; therefore, there is a trace of compassion in every soul, saved or unsaved; there are unbelievers who are compassionate as well as believers, though they do not yet believe in Jesus Christ: therefore, as believers, let us walk in the footsteps, of Christ, do what he will do, love and be compassionate toward one another, shine as lights to the world of darkness. In the above text, Jesus went into a city called Nain, with many of his disciples and others; when he came closer to the city, there was a dead man carried out, the only son of a widow; when Jesus saw her, his bowels yearned and had compassion on her, he said unto the widow, "Weep not! "; what an encouragement; today, Jesus is saying to everyone that is upset about any type of situation; "Weep not! "; but trust and believe in him, that it is all done, and it shall be well again, whatever has gotten you down is not heavy at all compared to his cross, but he overcame the cross so we do not have to carry our own crosses upon our shoulders, give everything to him, rest and have peace within your souls: furthermore, Jesus went closer and touch the coffin; you see! the moment we overload our burdens unto him through prayers and supplications, that is when he moves closer, to take care of our predicaments; therefore, regardless of how we feel about our situations, today, let us surrender our problems unto him, hands up, have him take the steering wheels of our lives and drive on into peace; when Jesus touched the coffin, the people that were carrying it, stood still; therefore, when we overload our burdens upon the shoulders of Jesus Christ; let us be still and know that it is done, wait for manifestations; when we wait patiently, trust in him, instantaneously, we receive victories by his death and resurrection; Jesus said, Young man, I say unto thee, Arise! and immediately, the dead sat up, and began to speak, and he delivered him to his mother; miraculously, Jesus spoke to the dead young man, he heard his voice and became alive; therefore, today, everything that is dead in our lives, as Jesus have taken control of our lives, those things are all alive, doors that were shut closed before are now opened, and mountains of difficulties have been brought down low to ground levels, that we walk in the victory of Jesus Christ, valleys of despairs are filled with thanksgivings, praises, joy and peace, we are delivered by the blood of Jesus forevermore; therefore, let us rejoice and be exceedingly glad, give thanks, praises and adoration to our Father, through Jesus Christ our Lord and Savior forevermore: Amen! Dearly beloved, regardless of what overwhelmed our souls in the past; today, we are delivered by the resurrection power of the Holy Spirit; believe, receive it, and wait for manifestations; while we wait upon the Lord, let us give thanks, praise his Holy Name, for his love, mercies, and compassion that never fails, but endures forever and evermore. Be ye, therefore merciful, as your Father also is merciful. (Luke 6:36). Amen and Amen! (KJV.) Hebrews 4:15-16 For we have not a high priest which cannot be touched with the feeling of our infirmities; but was in all points tempted like as we are, yet without sin. Let us, therefore, come boldly unto the throne of grace, that we may obtain mercy, and find grace to help in time of need. (1) Though I speak with the tongues of men and of angels and have not charity, I am become as sounding brass, of a tinkling cymbal. Brethren, the subject for today is charity; charity in the biblical sense is, a Christian love, which represents our Father's love for humanity, the human love for our Father, and the human love for one another; charity in all regards, is an attribute of kindness, generosity, and understanding, the act of goodwill towards others who are less fortunate than ourselves; mostly done, in the form of material things, monetary funds or service to others. As humanity, we possess the attribute of charity, already deposited into our mortal bodies, together with the breath of our Father, during creation; (Genesis 2:7); therefore, charity is a major attribute of humanity, whether saved or unsaved, there is a tendency of being charitable in every soul; when we fail to exercise charity towards others, we become spiritually, emotionally unbalanced, unhappy and lack peace, joy, blessings that come from giving our hearts to others. Conceptually, this world revolves around charity; and charity is reciprocal, it is a give and receive chain reaction; when we display the attributes of charity towards others, reciprocally, we receive charity ourselves, charitable rivers will continue to flow from the throne of grace to replenish our hearts, that we may continue to exemplify ourselves in Jesus Christ, love one another as ourselves. Therefore, let us endeavor to touch someone with charity today; help our brothers and sisters in predicaments; for Jesus said; "Blessed are the merciful, for they shall obtain mercy. (Matthew 5:7); also, there are earthly and eternal blessings for those who make other people happy in this world; never worry about depleting sources, for Jesus Christ replenishes givers; he said, Give, and it shall be given unto you; good measure, pressed down, and shaken together, and running over, shall men give into your bosom, for with the same measure that ye mete withal it shall be measured to you again. (Luke 6:38): also, charity begins at home, therefore, let us teach our children how to be kind, before they enter into the world, to shine as lights in darkness. What Apostle Paul is saying to believers is, a charity which is love, should be the foundation stone of our faith in the righteousness of Jesus Christ our Lord and Savior; without love, we are nothing but empty barrels making noises in this world; regardless of what we do, it will not hold water, our faith and spiritualities are in vain; therefore, as believers, let us practice what we believe, love one another as ourselves, do goodwill for unbelievers to perceive our godly attributes, endeavor, come, to accept Jesus Christ as Lord and Savior, have salvation, grace, hope of life forever and evermore. 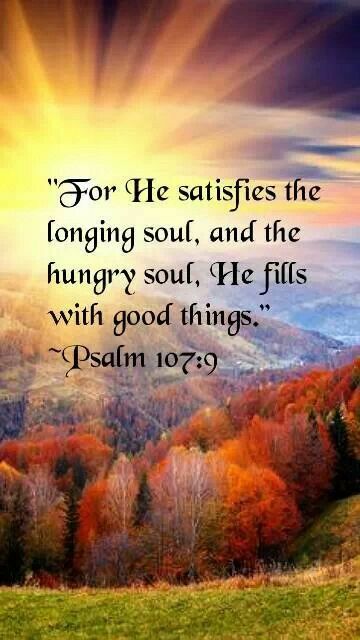 Amen and Amen! (KJV.) St. Matthew 21:21 Jesus answered and said unto them, Verily I say unto you, If ye have faith, and doubt not, ye shall not only do this which is done to the fig tree; but also if ye shall say unto this mountain, Be thou removed, and be thou cast into the sea; it shall be done. (9) There remaineth, therefore, a rest to the people of God. (10) For he that is entered into his rest, he also hath ceased from his own works, as God did from his. (11) Let us labor therefore to enter into that rest, lest any man falls after the same example of unbelief. Brethren, as humans, many of our years on earth are full of labor and strives; regardless of what our statuses are in life, we run races tirelessly without finish lines, and desires not to take time off busy schedules to unwind, rest our souls; for our eyes see evil works being manifested everywhere on earth, and lust after materialistic things of this world until we wreck mortal bodies with ailments, eventually sleep in death; like wisely, our ears we are never satisfied with hearing bad news, gossips, of course, the word of our Father; it is an unbelievable situation in neverending world; as believers, we cannot tune off the world, live in bubbles but we can do our best to affect positive changes in this world, by exemplifying ourselves in Christ, for others to perceive our godly manners and follow our footsteps into salvation, grace, and hope of life everlasting. Before we receive Jesus Christ as Lord and Savior, we were sinners, who walk in ungodliness, were mindful of materialistic things of this world; after we heard the good news of Jesus Christ, believed in him, have salvation, entered into his rest, our worries and cares are taken care of by Jesus Christ, and we enjoy grace, into eternity; therefore, if we have entered into his rest, let us not strive, worry about materialistic things of this world; but trust and believe in Jesus Christ for his providence, and rest peacefully in his grace: refer to Matthew 6:25-28; therefore, regardless of our busy schedules, let us not forget to take time off work, rest from our labors, regenerate our souls, have good health, and vitalities, give praises and adorations to our Father through Jesus Christ our Lord and Savior, rest and assured in him forevermore. For, when our Father created all things of the world, he blessed the seventh day, and sanctified it: rested from all his works which he created and made: refer to Genesis 2:3; therefore, as believers, let us not give up serving Jesus Christ, but continue to do his will diligently, faithfully, persevere, forbear all things, finish his works and enter into his rest; in order not, to backslide again into our old selves of unbelief, walk away from the faith of his righteousness. Dearly beloved, whatever may be our present situations in life, let us not give up trusting in Jesus Christ, but pray persistently, know for sure that he is working on our behalves, and all things work together for good to them that trust him, have patience, wait for deliverances; victories are already given to believers through his death on the cross and resurrection from the graveyard, ascension to heavenly places; therefore, let us continue to hope in him forever and evermore. Amen and Amen! (KJV.) Hebrew 3:12 Take heed, brethren, lest there be in any of you an evil heart of unbelief, in departing from the living God. (48) But he answered and said unto him that told him, Who is my mother? and who are my brethren? (49) And he stretched forth his hand toward his disciples, and said, Behold my mother and my brethren! (50) For whosoever shall do the will of my Father which is in heaven, the same is my brother, and sister, and mother. Brethren, the preacher said, ... and there is nothing new under the Sun, (Ecclesiastes 1:9); that is an absolute statement! Today, if any Christian believer faces persecutions for righteousness sake, that is nothing new under the Sun, it happened to Jesus Christ our Lord and Savior before, during, after his ministry on earth; to points of sufferings for our iniquities, crucified and death, buried in a tomb and resurrection, ascended into heaven, seated at the right hand of our Father as an advocate to all those who believes in him as Lord and Savior; for his sufferings to accomplish the assignment, Jesus received the greatest reward, the name above all names, that, at the mention of his name, all knees must bow, crowned king of kings, and Lord of Lords, lives and reigns forevermore; therefore, if we suffer persecutions for righteousness sake, let us have hope of eternal glory, and know for facts that there are rewards after our ordeals, for nothing having completed for Jesus Christ is futile. Regardless of what types of persecutions believers endure during their walk in the righteousness of Jesus Christ; all things work together for good at the end of it all, for the glorification of our Father, and there is always the sunshine after gloomy cloudy skies move away; for, sufferings does not last forever in believers lives, either persecutors retire from doing their evil works or the sufferings lose their lives in the process; either ways, there is always an end to sufferings for righteousness sake; in the case when lives are lost during persecution, believers receive greater rewards from Jesus Christ; therefore, our sufferings at this present times, are nothing compared to the glory awaiting believers in life everlasting. (Romans 8:18); however, those of us, who are not in any type of persecutions for righteousness sake, endeavor to support those who are, for, we belong to one body of Jesus Christ, the kingdom family, if possible, encourage them to lay aside all fears, and be strong, stand firmly in the faith, persevere and forbear all antagonizing reproaches, regardless of circumstances, to focus on Jesus Christ our Lord and Savior until divine interventions. In the above text, Jesus Christ faced persecutions from scholars who followed him around to hear his teachings, in other to use his own connotations, arrest and persecute him; however, Jesus was smarter than they were, he was present when man was created, knew everything about human evil imaginations, due to disobedience of Adam and Eve, in the garden of Eden. (Genesis 3); therefore, when persecutors tried to frustrate him with nonsensical questions, Jesus disengaged himself from them, intended to move away, out of their sight, but while he yet talked with the people, his mother and brothers wanted to speak with him; suddenly, someone said unto Jesus; in other words, Look! Here are your mother and brothers waiting to talk with you. (Matthew 12:47); Jesus answered and said to the person; Who is my mother! and who are my brothers! First of all, it sounded like Jesus was frustrated with this statement; however, he was not at all, the statement was directed towards his provokers, and not towards his family members; he said that, essentially, for the crowd to know that he is for all people, not just his blood line alone; progressively, Jesus's ministry have started, he needed to break away from family ties, in order to fully focus on his mission, fulfil his purposes without domestic interruptions and issues; subsequently, does Jesus's actions resonate with some of ours today? are there souls ties, that we need to disengage ourselves, in order to move forward to serve Jesus Christ? This is a point to ponder on! For, Jesus said, If any man will come after me, let him deny himself, and take up his cross daily, and follow me. (Luke 9:23); therefore, there comes to certain times in life, where, believers, must make drastic decisions to follow Jesus Christ, serve him faithfully, successfully finish assignments, inherit eternity; consequently, if were are being called to enter into the kingdom family of Jesus Christ; let us be encouraged to move forward, without fears, or delays, but trust in Jesus Christ forevermore. Dearly beloved, as humanity, we enter into this world through birth canals of our mothers, raise up under parental controls; however, spiritually, we do not belong to parents or households; we belong to our Father, and are brothers, and sisters of Jesus Christ our Lord and Savior, and are on different assignments in this world; therefore, if we live our lives in the righteousness of our Father through him who called us out of darkness into his marvelous lights, at the end of our lives on earth, we will inherit live everlasting, be part of the kingdom family, receive crown of glories, and joint heirs with our brother Jesus Christ forever and evermore. Amen and Amen! (KJV.) St. John 15:14 Ye are my friends, If ye do whatsoever I command you. (23) But if thine eye is evil, thy whole body shall be full of darkness, if therefore the light that is in thee be darkness, how great is that darkness! Brethren, before creation, the world was without form, void and full of darkness, the spirit of our Father moved upon the face of the waters; until our Father called light into existence, when he saw that the light was good, he divided the light from the darkness; he called the light day, the darkness night; (Genesis 1:2-5); effectively, we dwell in the world of darkness, it is the sunshine that lightens, the darkness from the day, and we are able to perceive, discern differences of objects, and things of creation; therefore, light plays an important role in this world, without light, the world would have remained void in darkness till present time, let us be grateful to our Father through Jesus Christ our Lord and Savior for light to lighten our world, his goodness, and mercies that endure forevermore. Comparably, as humans, our mortal bodies are immovable without the eyes, the light of the body; and though there is life within our bodies, without eyes, one cannot move around effectively; many times, our eyes are hindrances to our walk in the righteousness of Jesus Christ our Lord and Savior; for the fact, that we lust after things of this world, greediness, covetousness, fleshly desires are our main focuses in the world of darkness. (1 John 2:16); referencing the above text, Jesus said to the multitudes and disciples, at the sermon on the mountain; in an analogy, to be careful of their eyes, if their eyes perceive unpleasant things, chances are they may desire to covet, seek their own benefits at the expense of others, but rather, differentiate between material things of this world from eternal inheritances, focus on what matters most, set priorities straight in the order of salvation, grace and life everlasting; if their eyes desire filthy lucre, their whole bodies indulge in darkness, and there is no light within their souls; therefore, let us double check our hearts and ask ourselves, what types of things do our hearts desires to perceive? The bottom line is, we cannot focus on two things at the same time, give likewise attentions to both, and achieve positive results; it is better to focus on one thing at a time, put in the necessary effort to achieve the best results, than to look into one bottle with two eyes, play the double minded game, waver between two choices, lose focus on what really matters to destinations of life: consequently, we cannot serve two masters, and love both masters equally without difference; that is not possible, we will desire the presence of one master than the other, because of their attributes or personalities; (Matthew 6:24); likewise, believers cannot serve Jesus Christ, strive to attain worldly riches at the same time, desire to acquire things of this world more than eternity; our brains are programmed to focus on one thing at a time, therefore, either we focus on serving Jesus Christ faithfully, receive his blessings or strive to attain monetary, worldly possessions ourselves; the choice is ours: however, Jesus said, it is important for humanity, to seek first the kingdom of our Father, his righteousness, and all other things shall be added unto us: (Matthew 6:33); subsequently, let us work our salvation with fear and trembling, acknowledge the fact, that, this world is not our permanent home, focus on what matters, prepare ourselves to inherit eternal blessings with Jesus Christ our Lord and Savior. 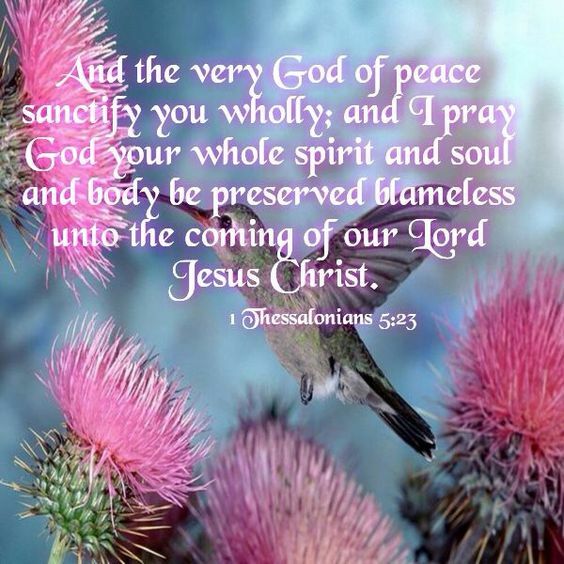 Dearly beloved, as believers, let us illuminate as lights of this world, that unbelievers may perceive our lights, come unto Jesus Christ our Lord and Savior, repent, have salvation and life forever and evermore. Amen and Amen! (KJV.) 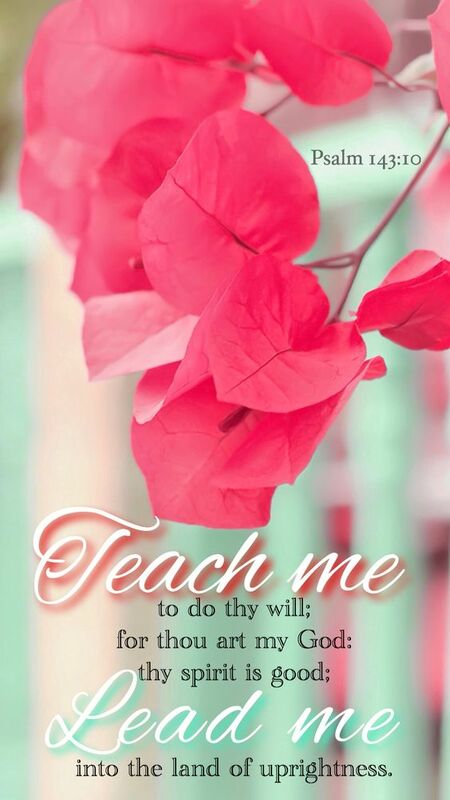 ST. MATTHEW 20:15 Is it not lawful for me to do what I will with mine own? Is thine eye evil, because I am good? (1) So I returned, and considered all the oppressions that are done under the sun: and behold the tears of such as were oppressed, and they had no comforter, and on the side of their oppressors there was power, but they had no comforter. Brethren, Jesus Christ our Lord and Savior taught the multitudes on the mountain; said, "But seek ye first the kingdom of God, his righteousness, and all these things shall be added unto you." refer to Matthew 6:33; essentially, we should not worry too much about our welfare in this world, strive for worldly possessions, rather search for ways to enter into the kingdom of our Father, know his godly principles, love one another, act according to his expectations, walk in his righteousness; if we obey him, there is nothing to worry about, to acquire materialistic things of this world, they are automatically ours as his believers: however, regardless of how believers strive to stay focus in the righteousness of Jesus Christ, there are challenges to overcome every day, stay focus in the faith of his righteousness; why? Because we live in the world full of darkness and are distracted, enticed by its materialistic contents, to yearn after material possessions, enslave our lives to the enemy of our souls: regardless of what is going on in this world, believers are overcomers, all we have to do, is to stay connected to the source of our faith; Jesus Christ our Lord and Savior, read his words daily, to lighten our hearts out of temptations, not to yield our members to ungodliness. In the above text, the preacher lamented over what is happening in the world; ways in which cruelty and injustices prevail against innocent lives, the agonies, and tears of the sufferings people; saying, though they cry out loudly, there seem to be no comforts insights, no one cares about their wailings or predicaments, offer comforts to their wounded souls; but oppressors continue to exercise strict authorities, pester with their souls; therefore, there is nothing new under the sun, whatever is going on negatively in this world, has happened before, for the preacher to lament accordingly; however, as believers, let us not be shaken in faith, believe in our Father, believe also and Jesus Christ, we are covered by his blood; no evil works can materialize upon believers lives; however, let us not enjoy this grace alone, but reach out into the suffering world, preach the gospel truth, comfort wounded hearts, set the captives free from the world of darkness, heal the sick, proclaim the second comings of Jesus Christ our Lord and Savior. Dearly beloved, the preacher also said; vanity of vanities; all is vanity. (Eccl.1:2): therefore, when we strive for material things of this world, at the end of our lives, die without taking any possession into graveyards is vanity, we lived our lives vain; also, to be oppressed by evil works of men, worry about issues of this life, without solutions, this is also vanity and vexation of spirits; however, there is one major solution to our problems, and that is Jesus Christ, he is our peace, without him, we can not have peace in this world; but with him, though there are strives, oppressions in this world, there will be peace within our hearts forever and evermore. Amen and Amen! (KJV.) Eccl. 5:8 If thou seest the oppression of the poor, and violent perverting of judgment and justice in a province, marvel not at the matter: for he that is higher than the highest regardeth; and there be higher than they. 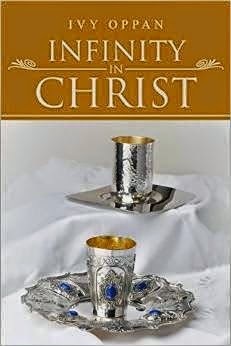 Brethren, believers or unbelievers, there are moments in life, whereby, we experience temptations; either from our Father to proven our love and faith in him, or tempted of the devil, to sin, backslide from the righteousness of our Father through Jesus Christ our Lord and Savior; it does not matter how stronger we are in spirits, there are temptations on every level of our faith; so, let us beware of what messages we receive from spirits; for demonic infiltrated spirits can fake messages; therefore, whenever, we receive spiritual messages, regardless of how we receive them, we are to offer prayers of thanks to our Father, through Jesus Christ, double check with the Holy Spirit, for confirmations whether they are authentic messages from our Father, and the Holy Spirit assistance to do what is required, not to fall into traps of the enemy, think thricely before undertakings. If we ask ourselves, how do we know if we are being tempted? that's a trickish question, for anyone can be tempted at any given moment, we need to watch out for the lust of flesh, the lust of the eyes, the pride of life: (1 John 2:16); these are the channels the enemy uses to lure souls into temptations; remember, how he tempted Jesus Christ our Lord and Savior, after Jesus fasted for forty days and nights in the wilderness, refer to book of Matthew 4:1-11: first of all it was the holy spirit who lead Jesus into the wilderness to be tempted by the devil; however, being an instrument of evil, he knew that Jesus was hungry, asked him to command stones into bread; that was the appropriate time, for the devil to mess with the innermost spirits of Jesus Christ: therefore, as believers, let us beware of enemy temptations, when in fastings and prayers, the enemy might show up unannounced to tempt our faith in the body of Christ. For the second time, the devil took Jesus Christ, into the holy city, setteth him on the pinnacle of the temple, provoked him with lies to cast himself downward, that our Father could assign angels to deliver him from falling to hurt himself; this is a test, to relinquish Jesus Christ's power, as the son of our Father; but Jesus overcomes him with the scriptures, refer to Matthew 4:7: again, the devil took Jesus to a high mountain top, showed him all the kingdom of the world and the glory of them, asked him to fall down and worship him, that he will give them all to him; really? Jesus rebuked the devil, and the angels came and ministered unto him, refer to Matthew 4:10-11: amazingly, during Jesus ordeal, the angels were watching over Jesus, to see the outcome of his temptation; therefore, when we go through temptations, let us not rule out facts that Jesus Christ knows about them, and watching to see the outcome of our faith, regardless of our temptations, we are overcomers by the blood of Jesus Christ our Lord and Savior; if we should fail temptations, let us not worry too much or have anxieties over our failures; rather believe in Jesus Christ, that settles it all; he was tempted by the devil as well; therefore, he knows about his manipulative ways, and gives believers second, third, fourth chances to overcome enemy temptations another time, receive crown of glories in life everlasting, we are more than victorious forevermore. No one is beyond temptations in this world, but we are victorious children of the Highest Father, being victorious, the devil has no power over our souls; subjectively, whenever, we feel pressured to walk in ungodliness, do something out of the norms, that may be questionable, let us know that we are in temptations to shake faith foundations, such as Abraham was tempted to sacrifice Isaac the child of promise, refer to book of Genesis 22; or tempted of the devil to derail Jesus's mission according to the book of Matthew 4:1-11; therefore, regardless of how we perceive temptations, the rock bottom line is, to discern temptations, the voice of the devil, from the authentic voice of the Holy Spirit, before we endeavor to act upon messages; as believers, let us be in spirit, control our thought processes, if we are not sure of messages received from hearings, dreams, and visions; pray to double check messages, discard whatever needs to be discarded, honor the true words of Jesus Christ, rebuke the devil, and he will flee away; rejoice, be exceedingly glad, for Jesus loves humanity that he gave his own life to be slaughtered on the cross, his blood avails much, our past, present, future sins are forgiven entirely, enjoy this grace and live peaceably with all men in Jesus Christ our Lord and Savior. Many times, we fail temptations, simply because we are unable to determine facts that something more than just thought processes are up against our souls; temptations come in different types of ways, for instance, (i) through the ministration of the Holy Spirit, we receive messages to deliver to others or act upon ourselves; (ii) we may also receive messages through dreams and visions of the night; (ii) also, through prophets, of our Father, at times, we receive camouflage misleading words from the enemy as well; beware! Regardless of how we receive spiritual messages to act upon; we must love our Father and Jesus Christ, obey, have faith, perseverance to do what is required; walk in the victory already provided by Jesus Christ our Lord and Savior forever and evermore. Amen and Amen! (KJV.) 1 John 4:4 Ye are of God, little children, and have overcome them: because greater is he that is in you, than he that is in the world. (6) As ye have therefore received Christ Jesus the Lord, so walk ye in him. Brethren, the moment any soul accepts Jesus Christ as Lord and Savior, life transformation, and regeneration process begin; spiritually, they will experience changes from darkness of this world, sinful attributes, into the marvelous lights, the righteousness of our Father through Jesus Christ: this type of process can take a lifetime to complete depending on how souls interact with the Holy Spirit. the comforter, teacher, reprover; therefore, if we have received Jesus Christ as Lord and Savior, let us obey the voice of the Holy Spirit, to accomplish his goal in our lives, walk in the light, his righteousness, be mindful of mannerisms, the world is watching our behaviors, to see the light of Jesus Christ shine through our souls; therefore, let us exemplify ourselves in Christ, think positive thoughts, never yield thought processes to infiltration spirits, to do evil works against one another; walk in love, be compassionate towards the suffering, maintain integrities as chosen people of Jesus Christ our Lord and Savior, shine into eternal lives. As believers in the light of Jesus Christ, let us be planted deeper like trees of the forest, positioned with immovable roots, structured as vessels within the body of Christ; to established our faith in his righteousness, utilize gifts and talents to glorify Jesus Christ, always giving thanks to our Father for his mighty works, through Jesus Christ our Lord and Savior. Amen and Amen! (KJV.) 1 Thessalonians 4:1 Furthermore then we beseech you, brethren, and exhort you by the Lord Jesus, that as ye have received of us how ye ought to walk and to please God, so ye would abound more and more. (46) And, why call ye me, Lord, Lord, and do not the things which I say? (48) He is like a man which built a house, and dug deep, and laid the foundation on a rock: and when the flood arose, the stream beat vehemently upon that house, and could not shake it: for it was founded upon a rock. BE SOLID AS A ROCK! Brethren, as believers, numerous times, over and over again, we hear the words of our Father from preachers, pastors, ministers, missionaries etc. over the world; bravo! to preachers of the word, for their obedience to the words of Jesus Christ our Lord and Savior, doing their godly duties within the body of Christ, and nations of the world: for Jesus said, Go ye into the world, and preach the gospel to every creature. He that believeth and is baptized shall be saved, but he that believeth not shall be damned. (Mark 16:15-16); this is the great commission to followers of Jesus Christ; let us not give up spreading his words, regardless of obstacles and hindrances from the enemy, we owe our service to Jesus Christ, let us not be weary in well-doings, in due time we will reap, if we faint not. (Galatians 6:9). 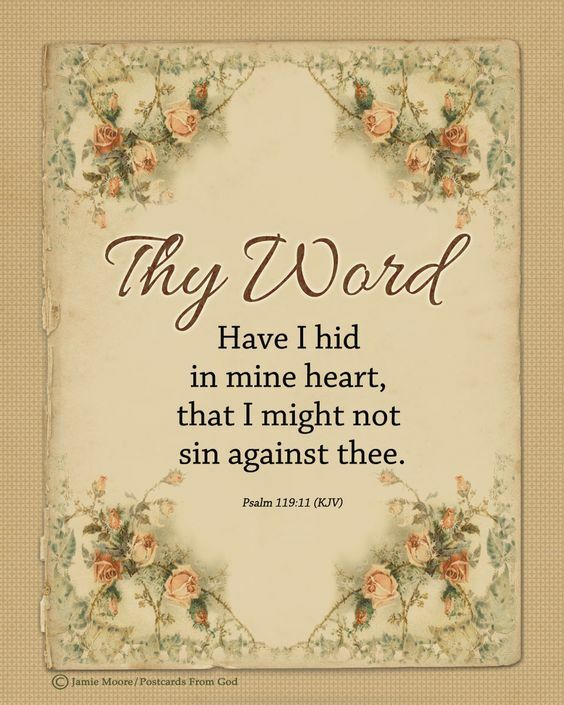 As Christian believers, what do we do, after we receive his words into our hearts momentarily? Do we obey him, act upon his words, to assimilate wisdom, knowledge, and understanding, that we may exemplify ourselves in Jesus Christ, receive earthly and heavenly blessings forevermore? or do we listen to his words, but are not doers of his words, deceive our own selves? This is a point to ponder on! If that should be the case, then, listen to what Jesus said, in the above text, narratively, if we accept him as Lord and Savior, listen and obey his words, do what is required; we are like men who dug up the ground deeply, laid foundations to built houses upon solid rocks, that when flood waters came, pushed upon their houses with strong and forceful waves, the houses stood strong, were not shaken, uprooted, thrown up, downcasted, drifted with flood waters, because their houses were built upon solid rock foundations: therefore, let us make rightful choices in life. Dearly beloved, when we hear kingdom words of Jesus Christ our Lord and Savior, let us be doers of his words, not just hearers alone; forget or refuse to act upon teachings, counsels, reproves, etc, for Jesus said, those who hear his words but refuse to act upon them, are like men who build houses upon the earth, without foundations, that when flood waters came, beat up forcefully against them; suddenly, their houses fell apart, and were drifted away completely with flood waters; therefore, let us take notes whenever we hear from oracles of the Holy Spirit; and remember to practice them, be not forgetful hearers, rather be doers of his will forever and evermore. Amen and Amen! (KJV.) St. Luke 11:28 But he said, Yea rather, blessed are they that hear the word of God, and keep it. 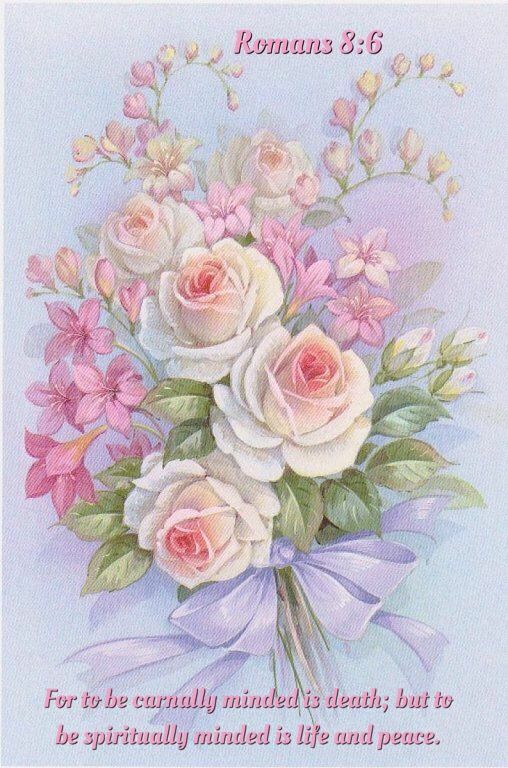 (2) The older women as mothers, the younger as sisters, with all purity. (3) Honor widows that are widows indeed. Brethren, in this twenty-first century, systematically, humanity have deviated from the norms, embraced abnormal behaviors, justify themselves with grace, and heading towards the mark of damnation: the questions we need to ask ourselves are as follows: first of all, how did we get to present points of devastations? secondly, what can we do to fix the brokenness of this world, to have the peace of Jesus Christ already given to this world? 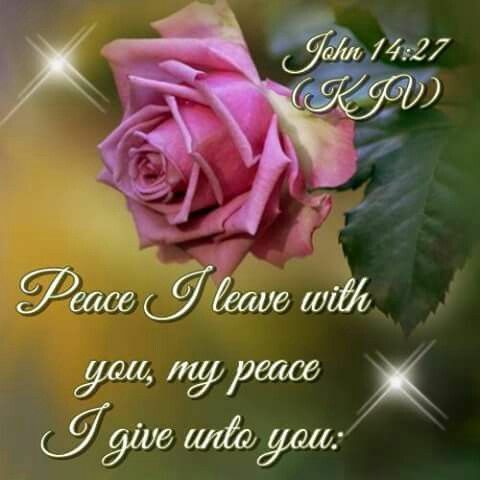 (John 14:27): if we ponder on any of these questions; it is time to go back to the biblical foundations given by our Father, search the scriptures for answers, implements positive changes, where there are negativities, love and live peaceably with one another. In reference to the above text, taken from Apostle Paul's letter to Timothy; advising him not to rebuke an elder; for it is ungodly to reprove, harshly criticize an elder person, but what do kids of today do? They talk back to their parents, older siblings in arrogance and prideful ways: how do parents of today react too? well, some parents do not reprimand or discipline their children, but allow them to say whatever comes into their minds, practice whatever infiltrates their innermost spirits, to points whereby parents are unable to comport children behaviors and release them into the world; as the result of improper norms, they raise up generations of waywardness, and since that generation does not know any better, to train their own children with godly manners, they, in turn, continue with the process of raising another generation of waywardness; this should not be so; therefore, as parents, let us raise the flag of love in our homes, discipline, train our children with godly manners, advise them on how to give respect to older people and people in authorities; for discipline begins at home; therefore, let us do our parts, before they enter into the contemporary world of darkness. Also, let us acknowledge elder men as Fathers, younger men as brothers, elder women as mothers and younger women as sisters; regardless of how old we are in this world, respect is reciprocal; if we give respect others, we will be respected as well; therefore, let us respect one another, to purify our souls from spiritual contaminates, free from guilt and sin, love one another as ourselves, walk in the righteousness of our Father, through Jesus Christ our Lord and Savior into eternal lives. Dearly beloved, Apostle Paul, stressed the point, that we ought to give respect to widows, that are widows indeed; in essence, there are two types of widowhood, the first group of widowhood, are the younger widows, who can remarry, gain supports from another husband, or widows who have inherited riches from deceased husbands, the second type of widowhood, which Paul described as widows indeed, are the matured widows, who are retired, cannot work to take care of themselves, are not materially worthy, or energetic, to fend for themselves; these are widowhoods, we should not neglect, but reach out to, double check on their welfares, love, minister to, help them to survive the rest of their lives on earth, and be blessed forever and evermore. Amen and Amen! (KJV.) Leviticus 19:32 Thou shalt rise up before the hoary head, and honor the face of the old man, and fear thy God; I am the LORD. (12) When they were filled, he said unto his disciples, Gather up the fragments that remain, that nothing is lost. (13) Therefore they gathered them together and filled twelve baskets with the fragments of the five barley loaves, which remained over and above unto them that had eaten. (14) Then those men, when they had seen the miracle that Jesus did, said, This is a truth that prophet that should come into the world. Brethren, there is a saying that goes, "to see, to believe!" funny isn't it! ; Jesus said unto Thomas, " Thomas, because thou hast seen me, thou hast believed: blessed are they that have not seen, and yet have believed. ": therefore, believers must have faith, exercise faith to experience the miracles, signs and wonders of Jesus Christ, who called them out of darkness into his marvelous lights, never doubt who Jesus is or his capabilities when in sufferings, but have faith in him without waverings as the ocean tossed through and fro, stand firmly, believe, trust, continue to walk in his righteousness unto eternal lives: whether we see, yet believe! During the ministry of Jesus Christ our Lord and Savior, he did many miracles, therefore, multitude followed him everywhere he went, at certain time, the multitude followed him and his disciples into a mountain top, when Jesus lifted up his eyes, saw how great the multitude was, he had compassion on them and said to Philip, his disciple, "Whence shall we buy bread, that these may eat? "; you see! There is never a time, that Jesus does not have compassion on souls, even, unbelievers, who make efforts to hear his words, he was compassionate towards them, they did not ask him for any food to eat, but he knew that they were hungry and needed to eat; when a kid among the multitude gave out his five barley loaves, two small fishes; notably, Jesus asked the multitude to sit down, took the loaves, gave thanks, distributed to the disciples, the disciples distributed to those who obeyed Jesus words, sat down and ate the food; therefore, believers who have received his words, anointed and appointed, likewise, must go into the world, spread the gospel, that those who hear, might believe, repent, have salvation and eternal lives. Also, when Jesus asked the multitudes to sit down to eat; unfortunately, it was not every soul that obeyed, humble themselves, sat down, there were among the multitude, arrogance and prideful, who did not sit down to eat the meal with the others; subsequently, he fed the ones that obeyed, sat down; this is a lesson, that we can only receive favors from Jesus Christ, when we believe, obey his words, humbles ourselves before him; there is one other lesson to learn in this text: one other thing that happened was, after the multitude finished eating the meal; Jesus asked his disciples to gather up the fragments that remained, that nothing is lost: after they gathered the fragments, they filled twelve baskets up with the fragments of the five loaves and two fishes, that which was left was much more than what was eaten earlier; what a greater miracle, the kid who gave out his loaves of bread and fishes had more to take home than what he gave out to Jesus; consequently, let us not hold back our blessings from others, when we are positions to help them, when we give out blessings for the benefit of others in need; Jesus always replenishes over and over again with multiples blessings. To see, to believe! After the multitude sat down and ate before Jesus Christ, and were filled, they perceived the miracle that happened; influentially, they thought and said to themselves; This is a truth that prophet that should come into the world: in other words, this is truly the prophet who was supposed to come into the world: before they ate the meal; though they followed Jesus around, they were doubtful who he really was, either they followed him to be delivered from afflictions or as adversaries to allegate him with his own words; therefore, let us be careful of people in general, the enemy's demonic agents are normal people, yet operating within the world of darkness; beware! Initially, before the meal; some followers among the multitude, may have doubted Jesus, who he was, and have rejected him, however, when they saw his miracles, how he fed them with only five loaves and two fishes, there were many baskets of leftovers, they ascertained him as the prophet that was to come into the world; in this case, we are justified to say; To see, to believe! For to win souls for Christ, believers ought to take faith initiatives, not only preach the gospel but use faith to perform miracles, declare and decree things into existence, that the world may perceive, believe in Jesus Christ our Lord and Savior. Dearly beloved, Jesus asked his disciples to gather up the fragments that remain, that nothing is lost: comparably, Jesus said, For the Son of man is come to seek and to save that which was lost. 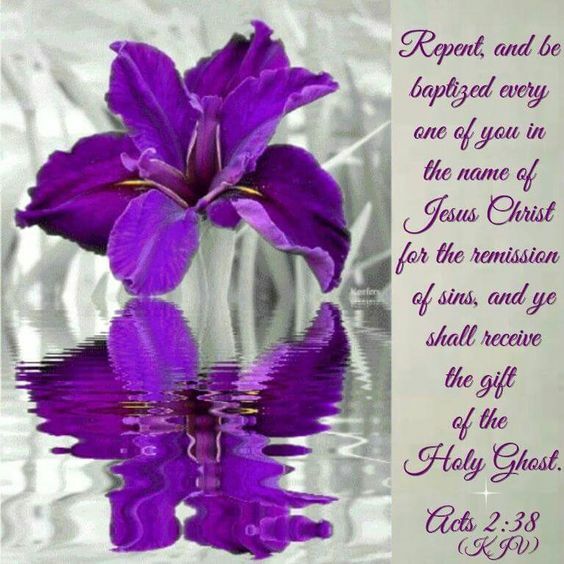 (Luke 19:10); therefore, Jesus came to save the world, that soul that are his, should have eternal lives; (John 17-12); if we are his believers, someday, Jesus will come back the second time, to draw his remnants together, dead or alive unto himself forever and evermore. Amen and Amen! (KJV.) St. Matthew 21:11 And the multitude said, This is Jesus the prophet of Nazareth of Galilee.